Providing the best possible care is important to us at Precision Dental. The innovation, high quality craftsmanship and technologies used in our office allows us to provide effective treatment while reducing time in chair and eliminating discomforts often associated with many dental procedures. An intra-oral camera is a small tool that we use to show you what we are looking at inside your mouth. The camera is able to take high-quality photos of your teeth and gums, which will then be magnified and displayed on a computer monitor for you to see. Our dentists will be able to use the image to see your teeth in greater detail, making it easier to identify potential issues. The photos will also help us to explain our diagnosis, our treatment and give you a greater understanding of any problem areas. 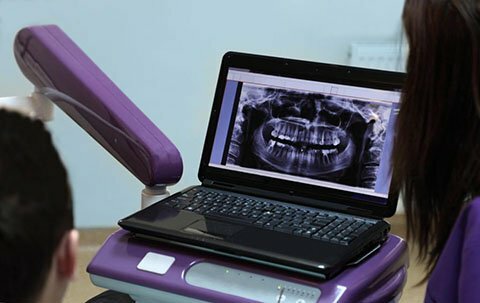 With our scanner we are able to take high quality colour digital scans of your teeth. No more uncomfortable impressions. 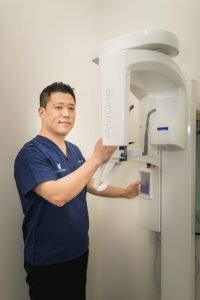 With the use of high resolution computer screens and ultra sensitive digital X-ray sensors, we are able to review your X-rays much faster than before, in fact, instantly on screen. Additionally, the radiation exposure is reduced by up to 90% of conventional methods (equivalent to less than 1 day of background radiation) which makes it much safer for you as well as our dental professionals.The digital images can be magnified and displayed on a computer screen, give us a highly detailed view of your teeth, and enable us to give you a more accurate diagnosis so that we can customise an appropriate treatment plan for any issues that may be found. Wisdom Teeth – developmental stage and angulation of roots. Jawbone – fractures; pathology such as abscess, cysts and tumours. The use of engine-driven automatic Rotary Endodontic file system enhances the way root canal preparations are performed. It enables more complicated root canal systems to be shaped and cleaned with fewer procedural errors and allows significantly reduced treatment time for you on the chair. At Precision Dental we are equipped with an all-encompassing computer program that we use for anything from scheduling visits to patient information. In your digital patient file, we are able to securely store data all in one place including your appointment schedule, personal information, and medical history, digital X-rays, 3D images and billing history.It also comes with the dynamic patient education software featuring videos, 3-D graphics, computer animations and easy-to-understand narrations. This helps us to ensure that our patients receive full understanding of current condition and make an informed decision about the treatment available to meet the needs.